If you are looking for a vacation get away or a winter treat and are age 25 or older, then look no further. 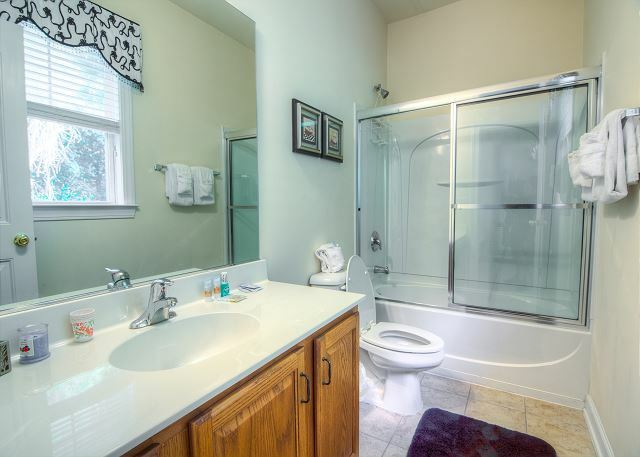 This townhome has a lot to offer. 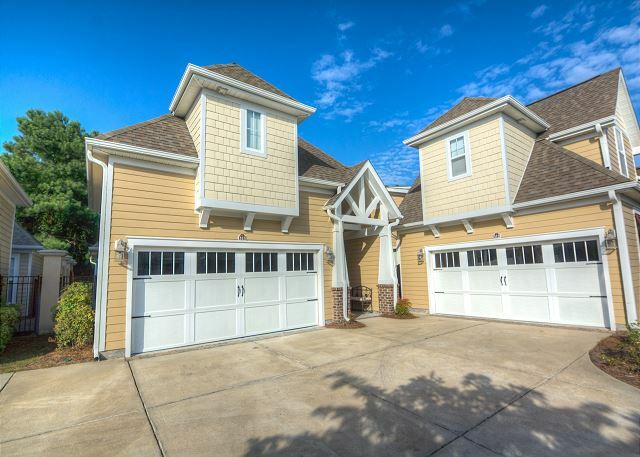 Enjoy the accommodations in a luxury two story townhome with 4 bedrooms, 4 1/2 baths, 2 car garage in the prestigious community of Clearwater Bay in Barefoot Resort. 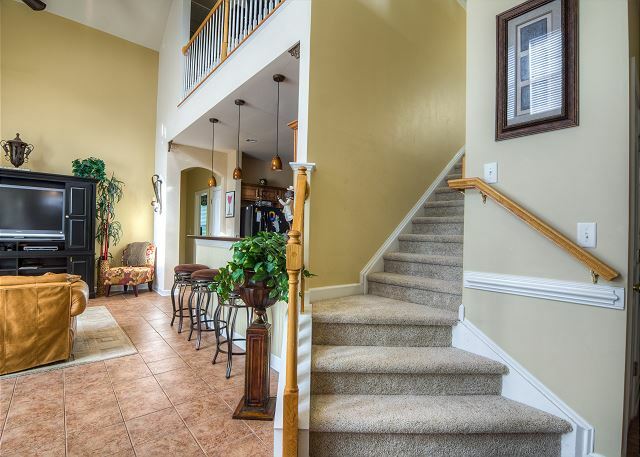 This spacious townhome is beautifully decorated with all the amenities of home, even a fireplace. Extend your living space to the private courtyard with furniture and a grill for outdoor entertaining. 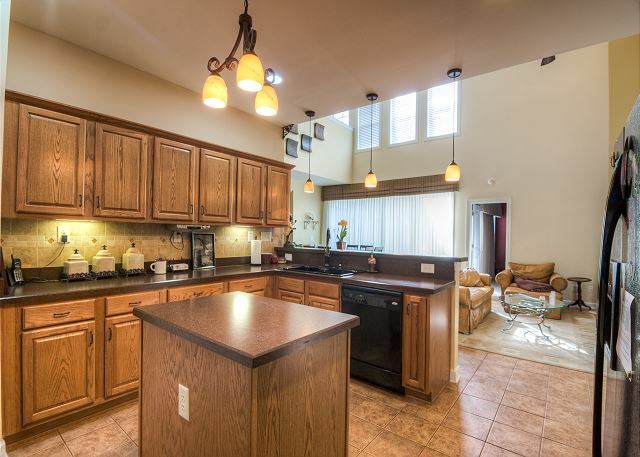 The kitchen is well appointed with everything a cook would need to prepare the simplest of meals to a lavish dinner. 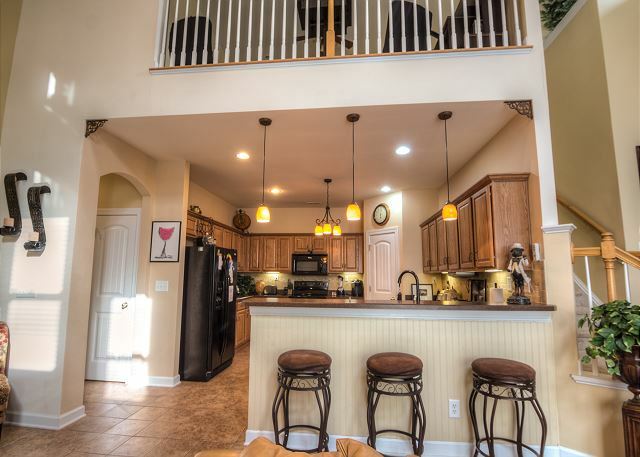 Enjoy those meals around the pub style table that seats eight and additional seating around the breakfast bar. 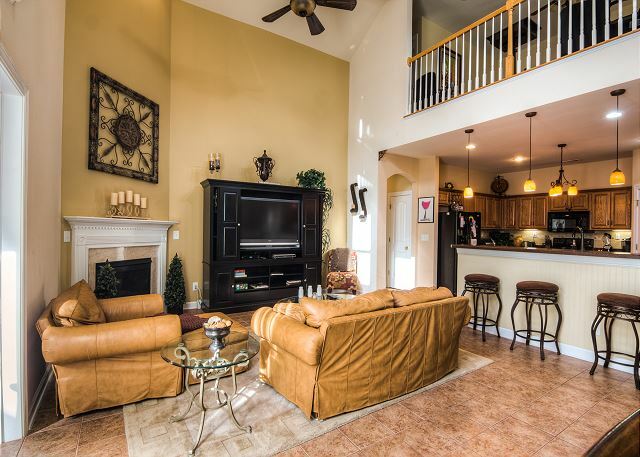 The living room features a large flat screen TV and plenty of seating for the family to enjoy those favorite shows or movies. 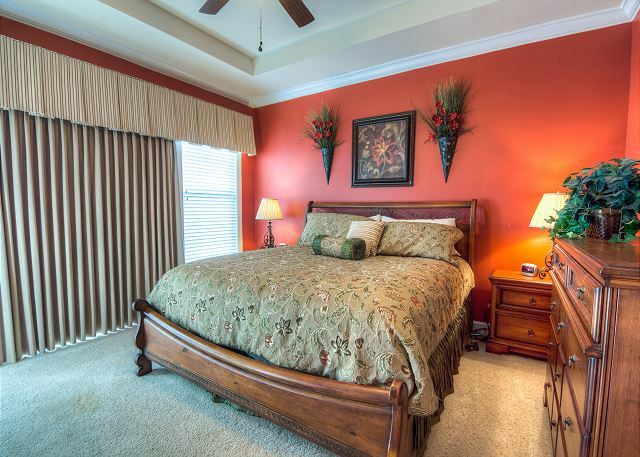 The master bedroom suite is located on the first floor with king size bed, walk-in closet, master bath suite, ceiling fan and flat screen TV. 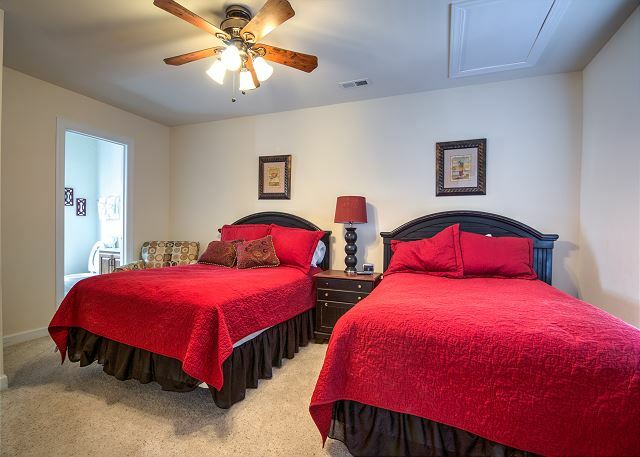 The second bedroom is also on the first floor with a full size bed, private bath, ceiling fan, TV and a dresser for plenty of storage space. The third and fourth bedrooms are located on the second floor. 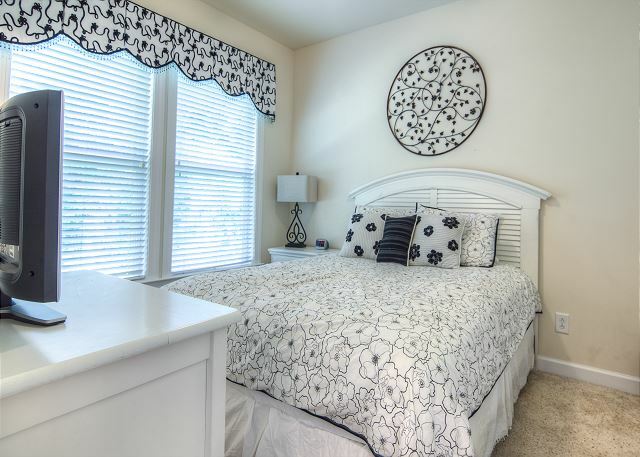 One bedroom has two full size beds, dresser, private bath, ceiling fan & TV and private bath. 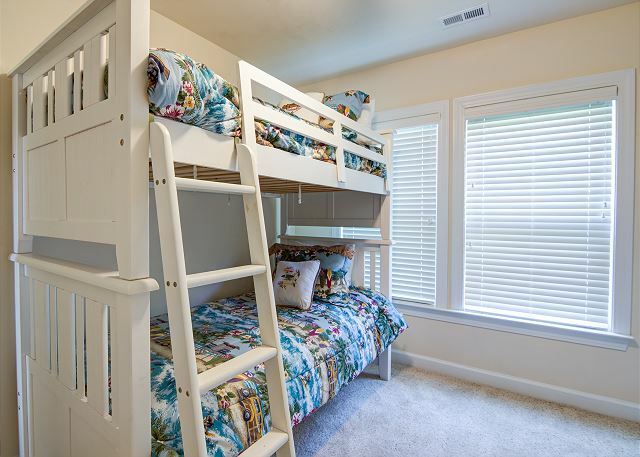 The fourth bedroom has bunk beds, ceiling fan, private bath & TV. The loft area has a sleeper sofa for additional sleeping accommodations and plenty of space for playing games, watching TV, reading or a quick relaxing nap. 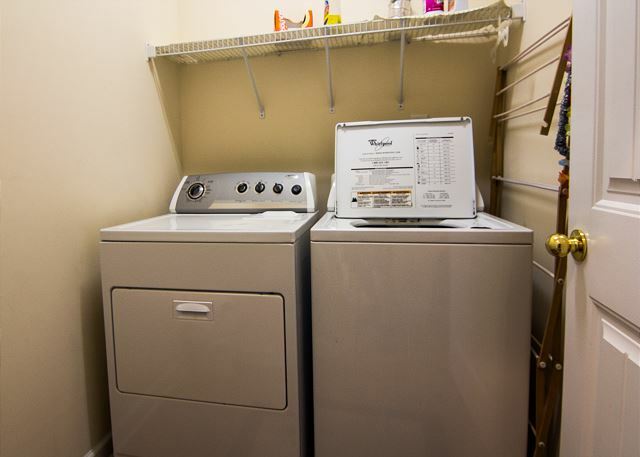 There is a laundry room with a full washer and dryer for your convenience. Are very professional. Will get your needs taken care of ASAP. Wonderful. Neighbourhood very friendly. Lots of dogs and places and walk. Rich , Anna and Toni are very accomadting with any issues . Awesome service. Great place to stay. We have stayed in Rich,s units several times. They are all very nice. I got stuck with the Bunk Beds. We knew they were there so not a problem. Location great. Parking great. Great communication from the owner and rental office. We go to Myrtle B twice a year and will be staying with Rich again. Great location peaceful and very friendly neighbourhood . Good time. The garage was wonderful to have but not a lot of moving space to get out of your vehicle with the golf cart parked in garage. Very comfortable to stay. Clean but the ceiling fan in the main room needs to be cleaned. Coated with a lot of dust. The home was very spacious and very nice. The neighborhood was quiet with a friendly community. 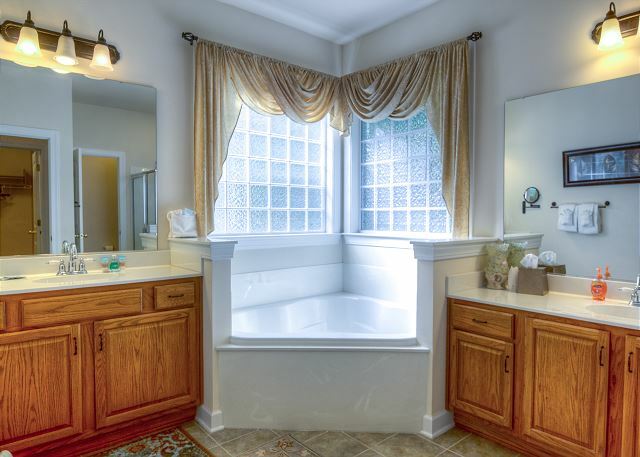 Amenities were perfect, everything was there that you could possibly need. The customer service was great. As soon as you would let them know something they would get it fixed. For example the lightning from the storm damaged the TV's and we told the management and they sent someone out right away to fix them. The pools were really nice and there wasn't just one in the neighborhood. The only thing that could be wrong with the place is how the parking is which wasn't really a big deal but you have to park in the garage or if you have many cars then you have to park not very far down the street. The garage was not meant for a bigger size car like a van. The garage wasn't deep enough for it to fit in properly. 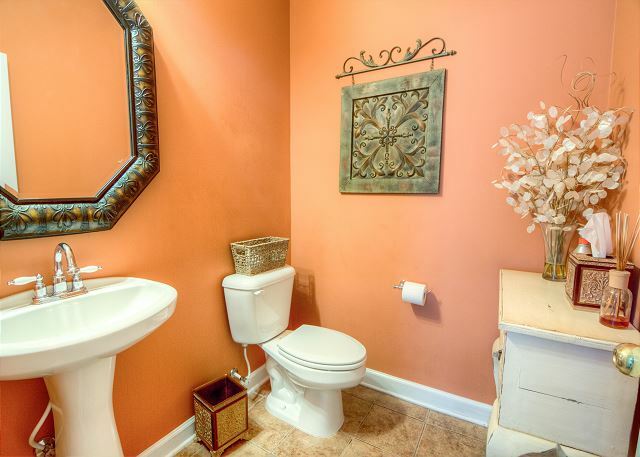 - William R.
Great Rental! Professional Management! Rude Neighbors!